All though I travel a lot with Tilly, there are still a few places that are on my bucket list to travel to. Recently I seem to be seeing all over social media that Bali is the place to go, so this is making me want to go even more! Bali has everything you could ever want for a relaxing holiday and sometimes we just need to get away and relax. Bali is perfect for that, so why is Bali such a fab place to go to? They look absolutely amazing in pictures, beautiful white sands that look like they should be the scene of a desert island. The tranquillity of relaxing on a sun lounger on the beach with not a care in the world and a cocktail in my hand is a dream waiting to happen. 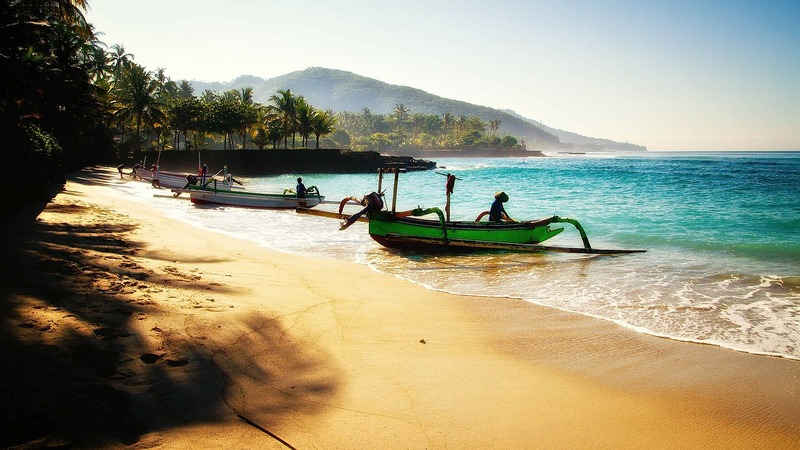 If you're looking for a beach to sunbathe and surf, then go to Balangan Beach. But if you're looking for a perfect photographic and instagrammable beach, then you need to take a trip to Gunung Payung. We all like to try different food from around the world and they use plenty of spices in their meals that are made with all fresh ingredients on vegetables and meat or fish. It is important to try food in other countries because you get a real authentic feel of the place that you're visiting. I have been recommended to try some pork dishes because the Balinese people love pork, so there is food from pork ribs, that we eat at home as well as Babi Guling (pork that is covered in herbs and spices before it is cooked whole and then served on skewers). There is also plenty of seafood available along the stretches of beaches. As with all places that we chose to go on holiday to, there are places to stay of all budgets to suit all different visitors. 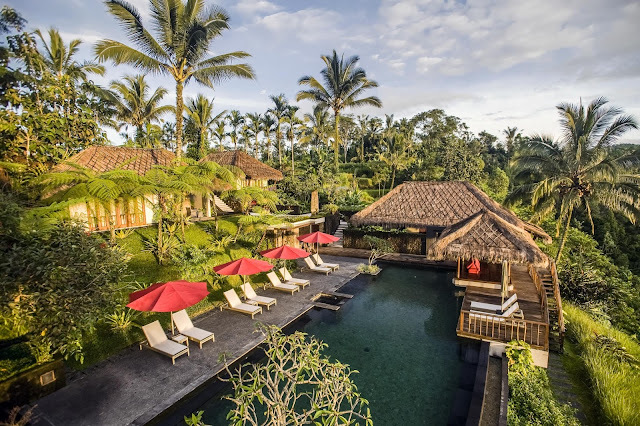 You can stay in a budget accommodation if you're backpacking or alternatively you can stay in a hotel or book your own Luxury Villa if you are there for a romantic holiday with a loved one. Also booking a Bali vacation villa is a much cheaper option if there are a few of you going on holiday because you can split the cost. You get more privacy in a villa and you can do what you want without other prying eyes on you all the time. It's not just the beach areas that are full of beauty and if you go looking you will find beautiful waterfalls and lakes. In my opinion, there is nothing more peaceful and serene or beautiful than a photogenic and peaceful scene whilst you're on holiday. This kind of background also adds romanticism to Bali and makes it the perfect place for weddings and lovers breaks. 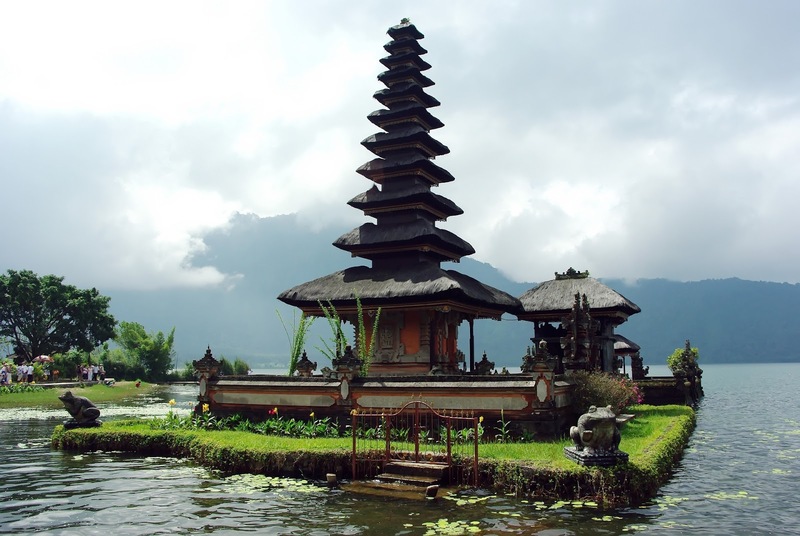 Bali is a multi-religious country and it consists of Christian, Muslim and Buddhist minorities, the predominant religion though, is Hinduism. So this means that Bali is full of temples of all different sizes and shapes. Some even say that there are more temples than homes. Some temples are only little shrines, but they are still beautiful and look magnificent in the landscape. 10km drive south of Ubud central you will find Batuan Temple, a temple that is well known for fantastic Balinese art and paintings. Or if you travel to Batukaru Temple, at the bottom of Barukaru mountain you will find yourself at one of the most popular temples in Bali. Whenever you go somewhere on holiday, it is always good to get involved and see as much of the local culture as you can. The culture in Bali is unique, rich and vibrant in the arts. You will find that festivals in Bali are full of dance, music, drama and vibrant costumes. If you're planning a trip to Bali, always make sure to check whether there are festivals happening at the time. It is well known that the weather is hot, hot, hot all year round and visitors can enjoy 12 or 13 hours of sunshine a day. Whether your a beach babe or want to venture out to do activities and sightseeing, this means you can make the most of your visit to Bali. It does rain between October and April but the rain comes and goes in small parts, so it really wouldn't bother your holiday too much. Ruth blogs at www.craftwithcartwright.co.uk and she has this to say about Bali. Have you been to Bali, What would you recommend to people wanting to go?